Moorings on both sides of the canal, adjacent to the short basin with most of the facilities. The moorings on the offside are completely secure – there is no access to them, – hence, logic dictates that you cannot get off and do anything else! The towpath side moorings are safe in my experience, though can be noisy, especially on a Friday or Saturday night. The situation is better now than it was, as the night club in the old canal building has been shut down. If you are uncomfortable staying on your own overnight, you can always push across to the off side mooring. The basin itself is not a designated mooring – as you would expect at a water point. There is water, rubbish bins, toilets and showers in the facilities yard. (The rubbish bins are to the right as you look at the shower block) A BW key gives admittance through the door in the wall, if you don’t want to bring your boat in to the short arm. Most hoses will reach from the tap near the door. There are many pubs in Wolverhampton, though my personal preference is for the Great Western, a good real ale pub nearby on Sun Street. It does decent pub food. 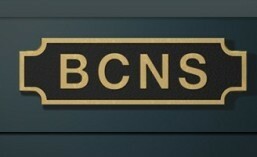 Return to the BCN Main Line page.